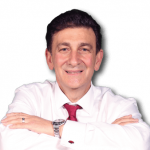 Commitment, confidence and caring are the qualities that have made Lino Arci one of the top real estate agents in the Greater Toronto Area for over 32 years. A dynamic and dedicated professional, Lino is satisfied with nothing less than the best for every client. He listens carefully and perceptively to establish objectives and only then, armed with a detailed understanding of their needs and wants, he creates a plan of action to achieve them. People know that they can count on Lino and his Team of professionals to be honest and realistic in advising them. Creative thinking, tenacity, limitless energy and finely honed negotiating skills set him apart from the crowd and have earned him many accolades and referrals from satisfied clients. Lino has helped hundreds of people buy and sell their homes in Toronto and Vaughan and surrounding areas since 1986. He is in the top 1% of RE/MAX teams in Canada and Worldwide and has been awarded the prestigious Circle of Legends, Lifetime Achievement, and Hall Of Fame career awards.